So many writers get scared when thinking about how to make an audiobook. It’s a lot of additional work. I hate my own voice. I just don’t have the time. There are all kinds of excuses that can stop you in your tracks. Luckily, for author's today self-publishing an audiobook is as easy as self-publishing a book. Yes, it will take work. But, the process doesn’t have to be complex or confusing. Just follow the steps and by the end, you’ll have a high-quality audiobook ready to upload to online retailers. 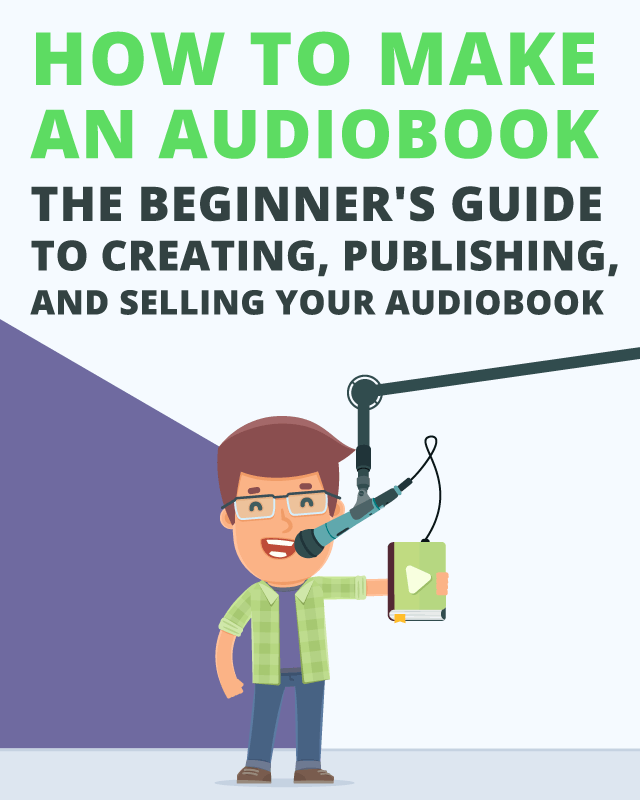 Below you’ll learn why you should make an audiobook, along with the steps required to turn your book into a high-quality audiobook ready for listeners. Should You Hire Out or Go DIY? Is My Book a Good Fit For Audio? Audiobooks are one of the fastest growing formats in book publishing. This means that more and more readers are turning to audiobooks over paperback and eBook. Yes, you need to have digital and paperback editions, but offering an audio version will help to satisfy a huge portion of the market who wants to listen instead of having their noses stuffed in a book. You can make more money. With an audiobook, you’re creating another income stream without actually having to do that much more work. Not only that but creating an audiobook is affordable. You can reach new segments of the market. Many find listening to a book much easier than reading it. With the audiobook market currently being valued at $2.5 billion, the chances are high there are swarms of readers waiting for you. There’s less competition. The eBook and general paperback markets are extremely competitive, but since the audiobook industry is relatively new in comparison, there will be fewer authors you’ll have to compete with. It makes your book listing more professional. As a self-published author, you’ll want to do everything in your power to make your book listing look professional. By having an audiobook listed and available, your book will look like it’s coming from one of the Big 5 publishers themselves, which adds credibility and increases trust. When deciding whether or not to make an audiobook just realize that you have a lot to gain and little to lose, besides time. The upside is massive and smart authors will take advantage of the relative ease you can create and publish an audio version of your book. Once you’ve decided you’re definitely going to create an audiobook you’ll have to decide if you’re going to create it yourself or hire out the work. By recording your audiobook yourself you’ll definitely cut costs, but you could end up with an unprofessional sounding audiobook, if you don’t do it properly. Even if you’re going DIY, then you’re going to have to invest in certain things like recording equipment, software and time spent scouting a quiet location to record your book. Hiring out will require you to find and pay for voice talent. This can be a risky proposition, especially if you can’t guarantee that your audiobook is actually going to sell. If you are going to hire someone else to record and produce your audiobook, then one of the easiest routes to take is going through ACX. ACX is controlled by Amazon and you’ll have multiple payment options including up-front payment, or a share of the audiobook royalties. As a general rule, if you’re writing non-fiction, your voice will be used to record the audiobook. But, unless you have a great voice and can do multiple characters, then you’re better off hiring out for your fiction book. If you’re still not sure, we cover your options for creating an audiobook in more detail below. Not every style of book will be a great fit for audio. Some obvious examples are cookbooks, coloring books, and children’s books that contain very little words and rely heavily on pictures. Other than that, most books will be good candidates. 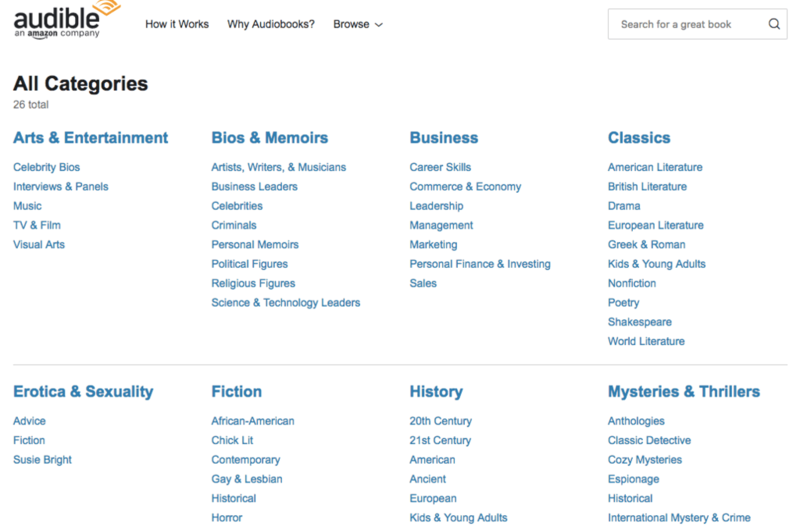 Take a few minutes to scroll through the list of Audible categories, and you’ll see that almost every category of book is represented. If you have never 'tried' audiobooks yourself, but would like to explore the market, you can definitely SIGN UP FOR A FREE TRIAL of Audible, the world's largest audiobook store (owned by Amazon). Find a book that's similar to the one you'd like to turn into an audiobook and 'try' the experience of listening to it! You'll get valuable pointers and feedback you can use when creating your own. The overall length of time it’ll take for you to complete your audiobook project will depend on a wide variety of factors. If you have previous audio experience, then you won’t have to spend time investing and learning about the right tools and software. While, if you decide to hire out the narration or producing work, then you’ll be relying on their schedule to complete your book. Overall, you should set aside a least a week of full-time work to learn the ins and outs of your equipment and software, record your audiobook, and edit and polish the audio. However, two weeks is a solid timeframe to finish your audiobook without too much stress. It’s time to get down to the nitty-gritty of creating your audiobook. Below you’ll learn the right way to prepare your book, choose the creation path best for your needs, and finally how to upload your audiobook to retailers. The first step of the recording process is actually making sure that your book is ready for the audio conversion. Some authors make the mistake of thinking they can just read their book word for word, but this will result in a clunky audio file. To start, you can read your book aloud to find any sentences that sound weird when spoken, and remove any references to the physical book, like links or diagrams. Think of your book like a script you’re going to transform, so you or your narrator doesn’t get tripped up or confused when reading the text. Now that your book file is ready to be recorded it’s time to determine which recording approach you’re going to take. Each comes with its own set of advantages and disadvantages, so choose wisely. Overall, the route you take will depend upon how much you’re willing to invest into the creation of your audiobook, your existing skillset, and if you’re willing to learn new software and skills. The first option to handle every step of the process yourself. This includes recording and producing. Depending upon the style of your book and your relationship to the work you may prefer to handle everything yourself. If you have confidence in your ability to produce something high-quality and don’t mind spending intimate time with your own voice, then follow the steps below. A pop filter. 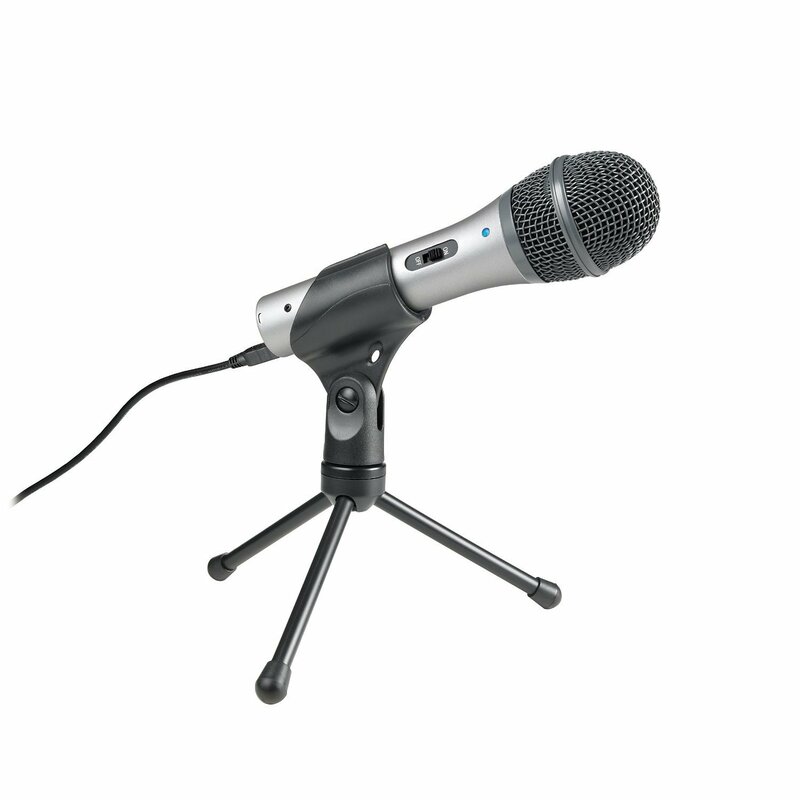 A pop filter will help to reduce the harshness of recording audio directly into a microphone. A solid pop filter is the Innogear Pop Shield. Audio editing software. If you have a Mac, then you probably already have GarageBand installed. But, it’s recommended to go with Audacity, as it’s free, and will work across multiple platforms. A voice box. 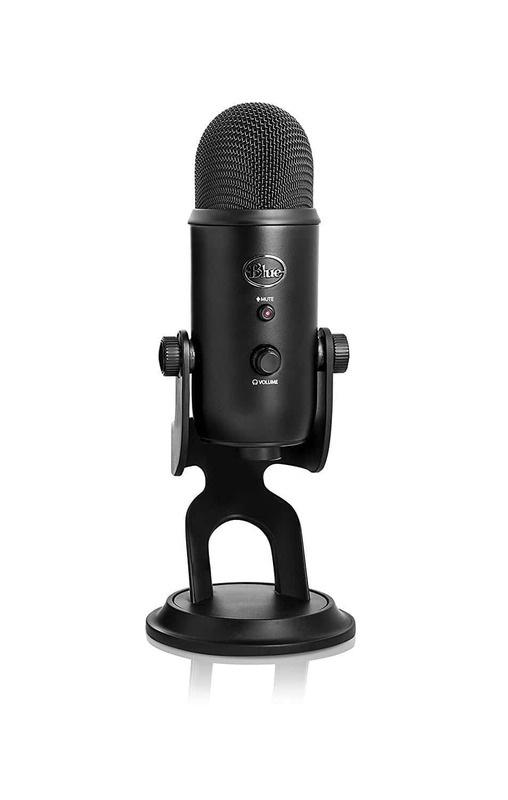 This isn’t completely necessary, but will drastically cut down background noise and make your audio file that much cleaner and easier to edit. 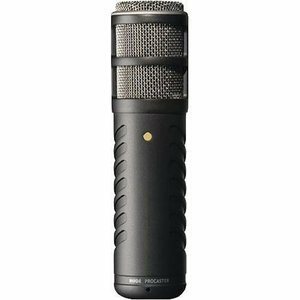 This microphone voice box is a great choice. The location you choose to record is going to be absolutely crucial. Even if you think you’re in a quiet space the sensitivity of the microphone can pick up on a lot of noise. In recording terms, the two most crucial aspects of noise are called “room tone” and “noise floor”. Having too much ambient noise on your audio track will make it much more difficult to edit and will lower the quality of the final audio. You’ll want to find a padded room that’s incredibly quiet, and has no ambient noise. If you’re having trouble finding a quiet isolated space, then booking studio time, or hiring an audio producer can be a great choice. The voice box recommended above can also help to reduce ambient noise and general room noise. Even things like the hum of your computer fan and home air conditioning can create noticeable background noise. With your equipment setup and room prepped, it’s time to start recording. Here are some tips to help you make the most out of your experience. Turn off all sources of ambient noise including fans, air conditioners, and even intense lights. Add additional padding and carpets to your recording space to avoid having your audio sound hollow and tinny. Read through your book before you record to get a feel for the text and common stumbling points. Prepare your voice with plenty of water, throat coat tea, and consider chapstick to avoid lip smacking. Keep your mouth a decent distance away from the microphone. Keep your vocal volume and cadence consistent across the entire recording. Be ready to stop recording and back up the time to record over vocal mistakes and slip-ups. Be prepared for your voice to tire quickly. Don’t push your voice too hard and give yourself plenty of time to recover. Going through the process of recording and editing your first audiobook can be exhausting. Between learning new equipment and software, finding and setting up a recording space, and actually recording your book it can be a lot of work. But, the end result can be well worth it. Plus, once you’ve gone through it once it will only get easier for successive books. If you know you want to read your book yourself, but don’t want to edit and record yourself, then you can book professional studio time. This may be an expensive option, depending on your local area, but you will end up with a high-quality finished product. For recording and editing your audiobook, you’ll need to book a solid amount of editing time. Shoot for around 20 hours of recording time. This, of course, depends upon the length of your book. You’ll also need around one to two weeks of post-production time to edit and polish your audio. Keep in mind that you may need to book professional studio time well in advance. Hiring someone else to create your audiobook can be the most painless route, although you’ll have to invest money upfront into hiring someone to do the work for you. However, when you compare this to the time you’ll invest in creating your book, and in purchasing the necessary recording equipment, the costs will be pretty close. Choose a freelance bidding platform like Upwork or Voices. Create a profile and create your proposal. This will include the scope of work and a retail audio sample, which is a simple audio file that’ll attract bids to your project. Select your narrator and determine payment terms and project timelines. If you’re looking for a simpler way to hire out the creation of your audiobook, then you can work directly with ACX. There’s a bundled service that covers the entire length of the audiobook publishing process. You’ll be able to create a profile that describes your work, listen to sample narrations and choose your narrator, make a deal in regards to payment, then work with the producer to complete the final product. With the royalty share option and integration with ACX, this is probably the easiest option available for authors. The final option is to hire a professional audio producer. In this scenario, you’ll be recording the audiobook yourself, but you’ll work with a producer to create the highest quality version of your book. A producer will give you feedback to improve the quality of your audio files and help mix and master the final version of your audiobook. For hiring a producer you can use Upwork (or even Fiverr) to find a relatively cheap producer. If you’re curious what the process of working with a producer looks like, Kevin Kruse has a great write up of his personal experience. With the final recorded version of your audiobook complete, it’s time to upload to ACX. Even though it’s am Amazon company your audiobook will be available through Audible, Amazon, and the Apple audiobook store. These platforms alone will give you wide enough distribution that you won’t need to worry about uploading to any additional platforms. The process of uploading your audiobook to ACX is similar to uploading your book to Kindle Direct Publishing, just make sure all the setting are correct, upload your file and you’re good to go. You’ll want your audiobook’s information to match your eBook and print versions, including your author name. This will ensure that your audiobook listing syncs up to your author page. Once you’ve completed the steps above your book will go through an approval process where your audio file is pending. During this process, they’re reviewing your audio files to make sure it’s high quality and there are no glaring errors that’ll affect the listening experience. Once this process is complete you can start selling your audiobooks. The royalties you receive per audiobook sale depends upon if you’re going exclusive through Audible, which will give you a 40% royalty, and if you’re doing any revenue share with a producer or narrator. Going non-exclusive and sharing revenue will obviously reduce the amount you’ll receive per sale. Even if this is your first time creating an audiobook it’s totally doable to DIY the entire process. Hopefully, the post above has been helpful in helping you create your own audiobook and enjoying the benefits of added readership and monthly royalties. Wow, thanks Brian for the step-by-step helps for creating audio books. You’ve taken the veil off an otherwise mysterious process. Thanks Ida, glad you found it useful!